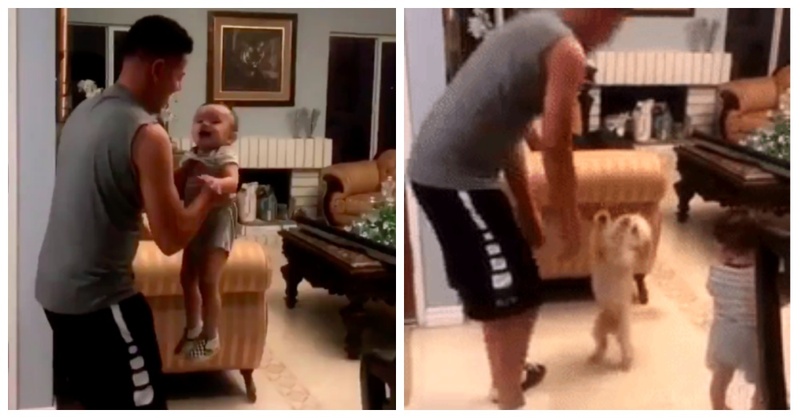 Teen Films Dad Tossing Baby Brother Into Air, But Dies Laughing At Dog’s Reaction. What goes up must come down. 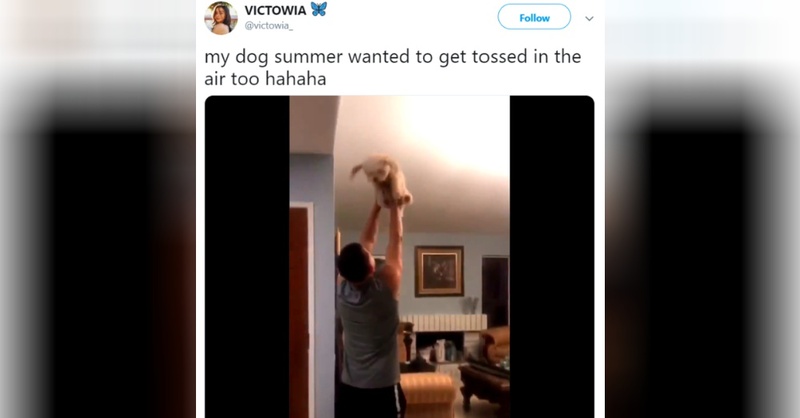 It’s about as basic as it gets… even Summer the dog knows it. But what she also understands is one of the basic tenets of aerodynamics: The smaller you are, the higher you’ll go. A few months ago, she was quietly mulling over the principles of Newtonian physics while watching her dad toss her little brother up in the air. Watch Summer’s flight in the video below, and don’t forget to share to warm more hearts!